I Knew an Awful Lot About Bonnets! Hello from North Wiltshire! My name is Katharine Searle-Barnes and I’m in Year 10 at Malmesbury School, which is in the ever-growing small market town of Malmesbury (however it used to be the capital of England during King Athelstan’s reign!). I am starting my GCSE courses and one of the options I took was History. I have always had a passion for it and so decided to come to Salisbury Museum for a week of work experience. 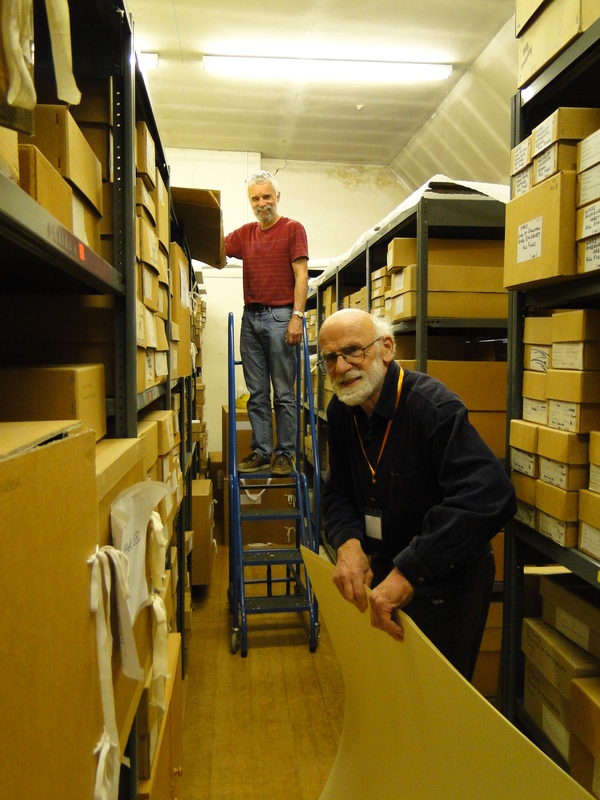 Whilst I was here, I partook in a number of activities, from making boxes so the artefacts are kept safe (see above – a picture of me making boxes for the artefacts with volunteers Mary and Roger- it gave me a chance to work on my Maths skills! ), to helping out in the museum’s big spring clean. I really enjoyed doing that as being inside a costume display case has always been on my bucket list! On my first day I had two spotlight tours from volunteers Catherine and Rodney, which made me realise how little I knew, not just about Salisbury itself, but Wiltshire in general. These new facts were useful as I could then talk knowledgably with my local cousins, whom I have been living with. Doing the spring clean of the costume galleries was slightly nerve racking as we didn’t want to break anything and had to make sure even if we nudged a single object out of place it was put back in its official position. Although we got to clean on the inside the cases, it was also required on the outside. Above is a picture of me wiping some fingerprint marks off the glass! After sanitising the costume galleries, it was time to start costume cataloguing. I had never done this before and textiles has never been much of an interest to me – however by the end of the day I knew an awful lot more about bonnets! I was in the costume store quite a bit during my placement – and I never want to see another bonnet for the rest of my life. It was interesting, however, to see how fashion has changed over history – but am I glad I’m not expected to wear some of those things nowadays. As Thursday was the end of my student placement (it was Good Friday the next day) I would just like to thank everyone who helped make my week as good as it was – you have all given me a great idea of what life is like working behind the scenes in a museum. Thank you Katharine. It was good to meet you. This year’s Big Clean is now almost complete. Nearly fifty Volunteers, and most of the staff, have been involved, in dusting everything from crossbows to medicine bottles, teapots to window sills. Above, we have Mary Crane and Jennie Hoare in the surgery, and Jane Howells and Ruth Newman in the ceramics gallery. Thank you everyone. Spring – the Big Clean is Underway! Thank you to the many dozens of volunteers who have already been beavering away at the amazing variety of tasks involved in the museum’s Big Clean. No dark corner is ignored! A well-earned break. Edwina Woodcroft, Susie Morgans and Derek Ellis. A message from Bridget….Can you help with the Museum’s Spring Clean? 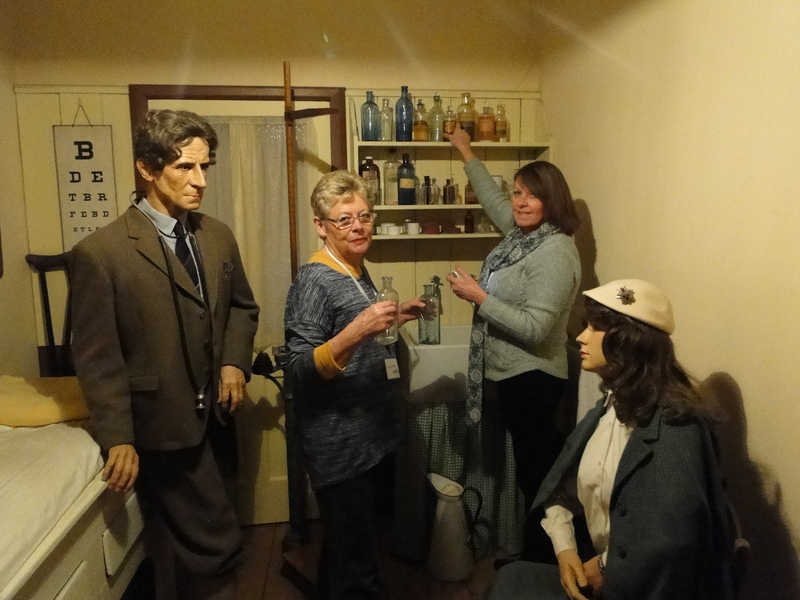 Many of you have helped us out in previous years with our annual ‘Big Clean’ of the museum. It is that time again when we are in need of your help to give the museum an enormous Spring Clean – both the public areas (including the display cases) and behind the scenes. Considering the size of the museum this takes a lot of effort and we would really appreciate it if you were able to spare a morning or afternoon to help us out. 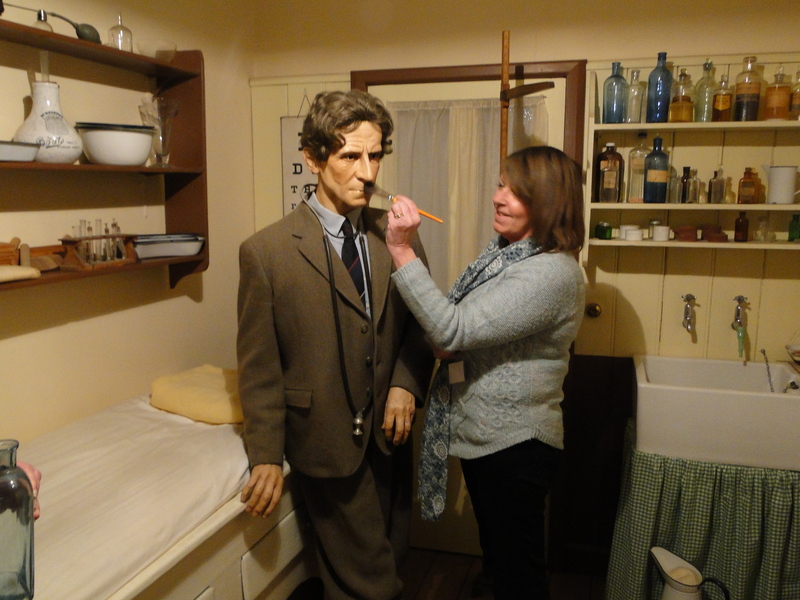 This is a very important job both to ensure the museum stays looking attractive for visitors and to ensure that we look after the collections and minimise the risk of getting pests in our stores! The spring cleaning continues, with two more dates left this month – Wednesday 23rd and 30th. Four old friends getting together here? Not quite. Volunteers Anne Marlow and Sybil Dormer can be seen here, cleaning Dr Neighbour’s surgery. The Museum has the contents of the surgery of Dr Philip Neighbour, who practised in Amesbury from 1939 almost until his death in 1982. There will be readers out there who remember him!